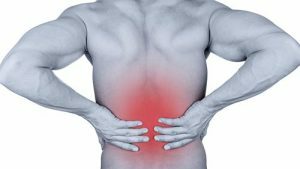 Low back pain (LBP) can be an extremely painful condition and significantly affecting quality of life. In a survey published in 2000 nearly 50% the adult population of the UK reported LBP lasting for at least 24 hours at some time in the year. In addition, it is estimated that 80% of adults will experience LBP at some stage in their life, which increases with advancing age, peaking in adults of 35 to 55 years of age. Causes of low back pain commonly arise following an injury at work, sport or during DIY. Pain in your low back is usually a symptom of over stressing your ligaments, muscles, tendons or sometimes the discs, no different to spraining your ankle! Commonly, with acute pain the client often feels they need an investigation to determine the source of their pain. Interestingly, the National Institute of Clinical Excellence (NICE) guidelines does not recommended xrays and/or MRI in the early management of non-specific LBP and is only recommended if serious pathology is suspected. In 85% of persons no specific pathology is identified on investigations to account for the person’s pain. In these cases the LBP likely represents a simple strain or sprain to the soft tissue of the spine. Reassuringly, most cases of LBP is nothing serious and disappears spontaneously, with 90% of people making a full recovery within 6 weeks. • Education on the do’s and don’ts in managing LBP. • Acupuncture, great for relieving pain and muscle spasm. • Exercise tailored to the individual to improve their core strength. • Spinal manipulation including joint manipulation and mobilisation, which is performed by physiotherapists who have undergone specialist postgraduate training in manipulation. The NICE guidelines state should consider a course of treatment, including spinal manipulation, comprising up to a maximum of nine sessions over a period of up to 12 weeks. The above guidance is based on the best available evidence and all of the above treatments are available at East Coast Physio, plus more! We have a professional approach and a wealth of experience in managing LBP, so please contact East Coast Physio, to allow them to facilitate the very best outcome for you.